Greubel Forsey presented the new Tourbillon 24 Secondes Contemporain Titanium with natural titanium movement housed in a red or white gold round case. 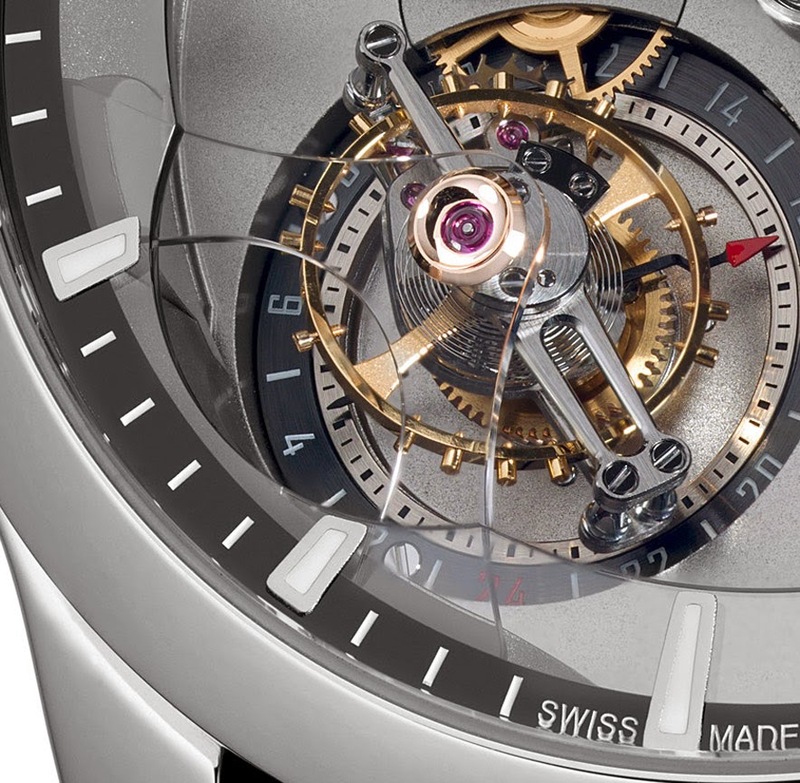 The case measures 43.5mm in diameter by 15.2mm high and features synthetic sapphire crystals, domed on the dial side and a flat display back. 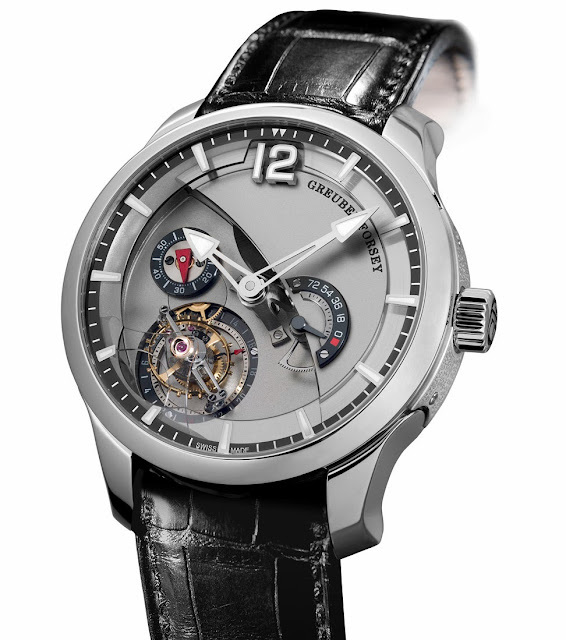 Greubel Forsey’s third invention, the Tourbillon 24 Secondes mechanism, is supported by a transparent sapphire bridge which gives the impression that the tourbillon is floating. 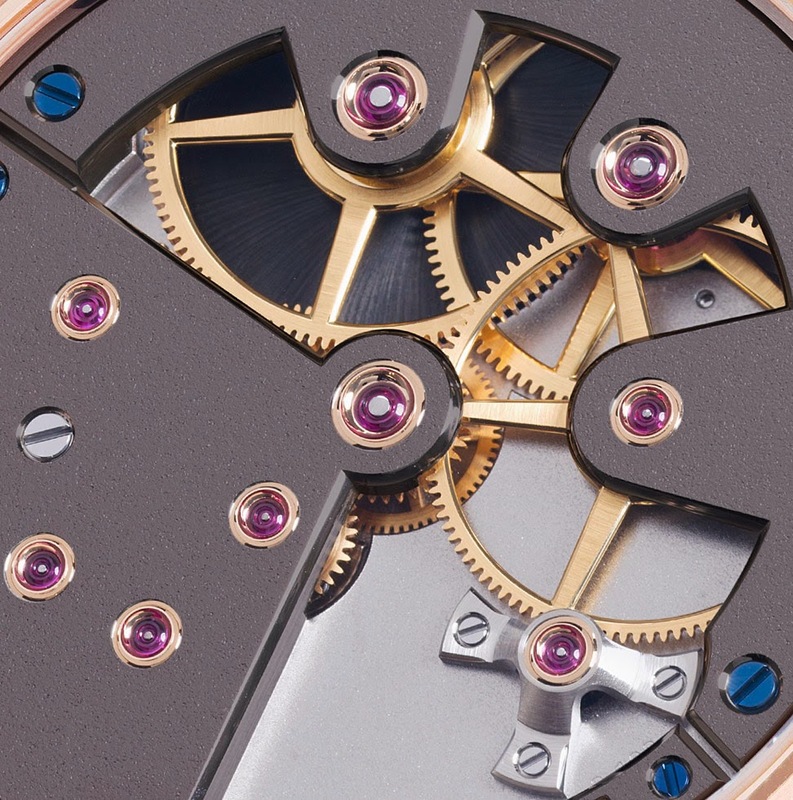 The long central tripod for the hour and minute hands and the multi-level dial with a raised sapphire chapter ring create a fascinating three dimensional dial. The only numeral in the dial - the "12" in red or white gold depending on the case metal - stands out for being raised from the chapter ring. 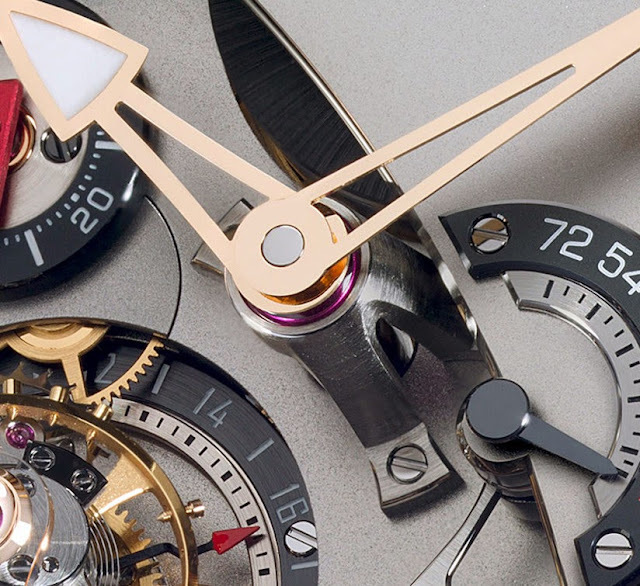 The power reserve indicator at 4 o’clock, the small seconds at 9 o’clock and the 24 seconds tourbillon at 6 o’clock create a nice contrast with the light grey of the natural titanium movement and integrated titanium bridges. 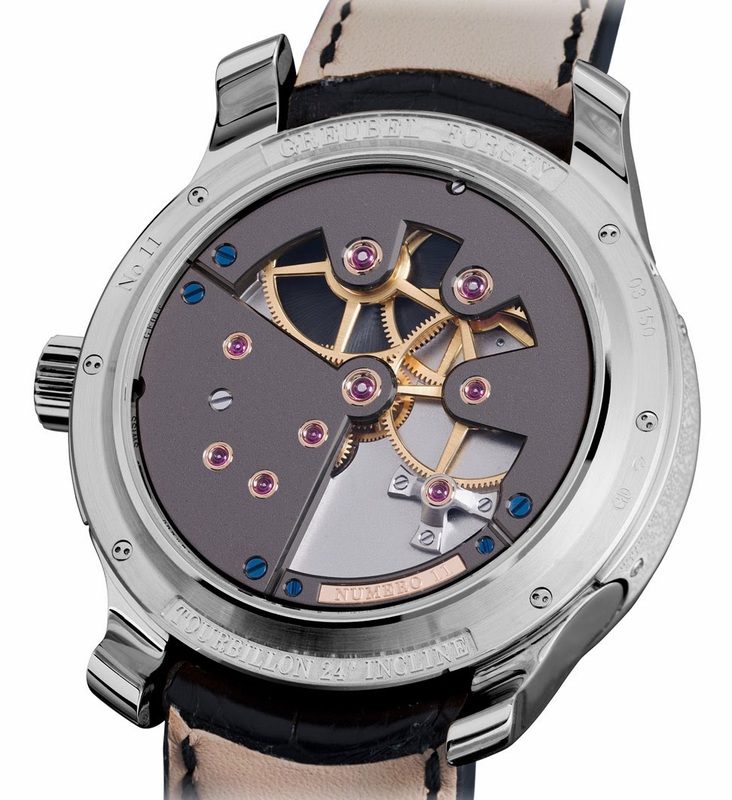 Through the sapphire crystal display back, the three NAC-treated anthracite bridges reveal the superb finishing: mirror-polished bevels, mirror-polished countersinks, straight-graining and snailed decoration on the mainspring barrel, and heat blued screws. The movement comprises 268 components, 88 for the ultra‐light 0.39-gram tourbillon cage alone, and is powered by two coaxial mainspring barrels in series providing an optimal power reserve of 72 hours. 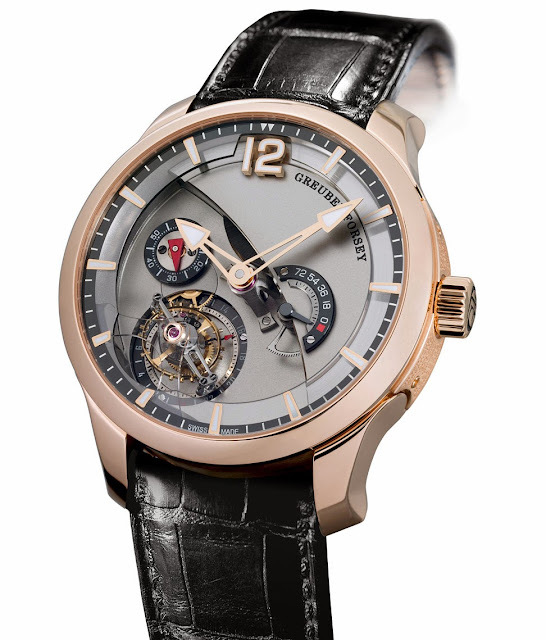 A hand-stitched alligator strap with a folding clasp in red gold or white gold completes the timepiece. Greubel Forsey presented the new Tourbillon 24 Secondes Contemporain Titanium with natural titanium movement housed in a red or white gold round case.